The fifth and final thorn in the Parable of the Sower is the “pleasures of this life.” The Greek word for “pleasures” is “hedone” which means delight, pleasurable sensation, and sensual pleasures. Hedone is pure self-indulgence and lack of control over the physical appetites. In the New Testament hedone always has the meaning of sensual gratification. Hedone is an unrestrained pursuit of anything that over stimulates the senses, stopping at nothing to gorge the body’s sinful inner cravings. 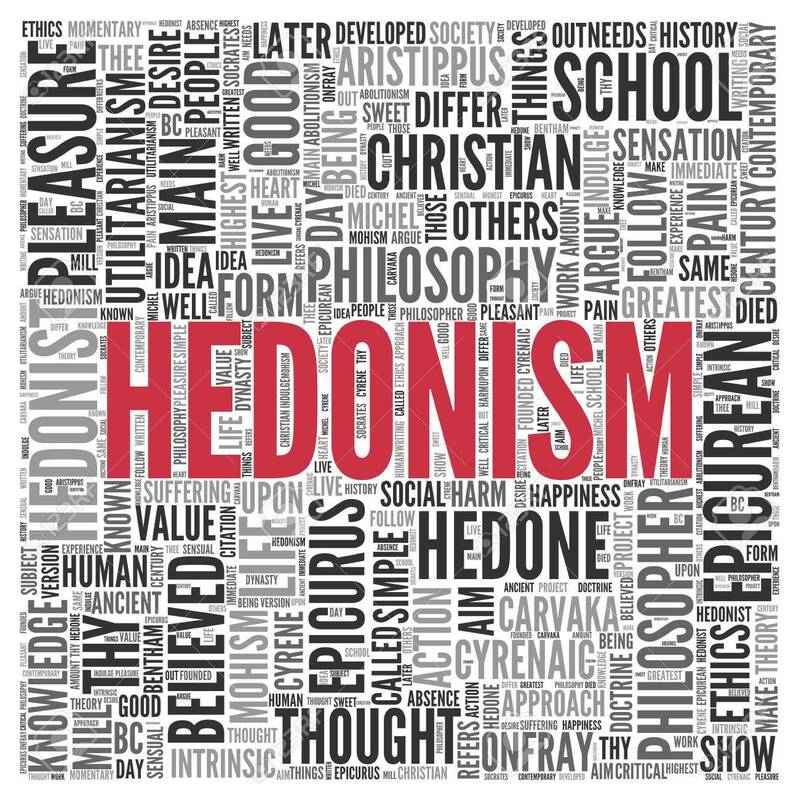 The English word “hedonism” comes from this Greek root and is a philosophical way of thinking where pleasure is the highest good in life and must be pursued with relentless abandon. A hedonist has an absolute devotion to pleasure and indulges their appetite with mindless abandonment. Pleasure becomes their way, their truth and their life. It is all about the feeling. It is all about losing the heart in the sensation. Hedonism is pleasure without boundaries. Hedonism is the pursuit of pleasure no matter what the cost, even if it means losing the soul. Hedone emphasizes the pleasure that arises from feeding the flesh’s appetite. It is always a companion to lust as these two powerful thorns of lusts and pleasures constantly work together to bring the heart into captivity. The thorn of the pleasures of this age is an obsession with physical appetite and sensual gratification. One word perfectly describes this thorn and that is “gluttony.” This thorn is gluttony of the flesh where we have an overwhelming desire to consume more than we need in order to satisfy our cravings. Gluttony is passionately craving something for pleasure and enjoyment other than Almighty God. Gluttony is an attitude of heart that does not care what God says in His Word concerning the requirements for a spiritual healthy heart, but recklessly indulgences the flesh oblivious to the dangerous consequences. Gluttony cries out “Feed me!” as I must have this, I want this, and I deserve this! This thorn of gluttony is all about our belly as it is the height of the sin of self-entitlement. Our belly is our god and we are engrossed in our appetite, which drives and controls our heart. We have become a spiritual prodigal who wastes what we have been entrusted by God as we serve the pleasures of sin for a season. Disappointment and misery soon follow as we find out that the fleeting pleasures of the flesh are like a shooting star that burns brightly for a few seconds, but ultimately fizzles out into the darkness of the night. Are pleasures what we should devote our life to? Are we spiritual vagabonds and gluttons who have decided that the best and most pleasurable way of living is to gorge our physical appetites? Our hearts need to listen to the words of one the wisest men to ever live, King Solomon, about the pursuit of pleasure. King Solomon engrossed himself in more pleasures than we could ever imagine. He had it all as every pleasure was at his fingertips. His eyes were finally opened and he saw the true colors of this wicked thorn. How this thorn of pleasures causes us to waste our lives in the pursuit of meaninglessness! Chasing after pleasures of the flesh accomplishes nothing in life and does not contribute one iota to our spiritual growth and our relationship with God. There is not one measure of goodness that comes to the heart from the blind worship of pleasures. Solomon the greatest king of his times, with unmatched wealth, power and possessions, denied himself not one single pleasure that the mind could imagine. Yet he gave the somber assessment that there was nothing to gain from the pursuit of pleasure as he was simply chasing after the wind and throwing his life away. Oh that Christians would take these words to heart! The pleasures of this life will suffocate the life of God’s Word from our hearts. The pleasures of this life will cause our heart to become stubborn, rebellious and hard against God and the holy commandments of His Word. The pleasures of this life will turn the heart away from God, as it becomes enslaved in self-appetite and self-indulgence. God did not purchase us on the cross so we could return to being gluttons of the flesh with no self-control or self-discipline. It begins with the pastors, leaders, and shepherds of the church. They must set the example that they will not give themselves up to the pleasures of sin, leading a double life and destroying their ministries. The Bible warns us repeatedly of the spiritual dangers of indulging our hearts in the pleasures of this life as a substitute for knowing God on a deep, personal level. Jeshurun was at one time upright and walking with the Lord. But Jeshurun’s heart turned and he became a glutton who was fat, bloated and gorged as his main focus in life was satisfying his appetite. Gluttony is a state of the heart where we crave for something more than our desire for God. It is an obsession in satisfying immediately our fleshly cravings and demanding instant gratification at all costs. It greatly hinders our heart from having any spiritual growth in Christ and being pleasing to Him. Look at what happened to the spiritual walk of Israel and their relationship with God when their self-appetite and inner cravings for pleasure controlled their existence. They abandoned God and scorned the Rock of their salvation. They provoked God to jealousy and enraged Him by their detestable practices of idolatry. They substituted God Almighty for a new god as they ignored and forgot God who gave them birth as a nation of His chosen people. Why do we think it will be any different with our hearts? Why do we think we can allow our hearts to serve our appetites and blindly pursue the pleasures of this life and not suffer any damage to our relationship with our Heavenly Father? First we will ignore God, then we will forget God, then we will abandon God, and then we will scorn God and hold Him in contempt. Finally we will replace God in our heart with a new god that is birthed from our gluttony. This is the pattern of Scripture and it is no different in our times. The spirit of Jeshurun has now been revived and lives in the church. We have become like Esau who had a careless disregard of the high value of his birthright in favor of immediate sensual gratification. His wrongly directed hunger caused him to cast his back on the sacred and despise what God had given Him. God has given us immeasurable riches and a glorious salvation in Christ where we are literally birthed into the family of God as a royal son or daughter of God. We despise this amazing birthright and give it little esteem in our hearts when we cast it aside hungering after things that can never satisfy. It seems like every day we are reading about another pastor that has sold his birthright and calling to gorge himself as a glutton in immediate sensual gratification. The pleasures of this world became more important than the eternal pleasures at God’s right hand that He gives to those who delight in Him. The emerging mark of the church and the mantra of our generation is that we have become “lovers of pleasures more than lovers of God.” We are hungrier for pleasures than we are for God. The sin nature that dwells within us is always hungry and wants to be fed. What hunger are we satisfying? Are we feeding our old nature in Adam or our new nature in Christ? We should be hungering and thirsting after righteousness and the Bread of Life Jesus Christ and not the fleeting pleasures of this age. The Bible is full of examples of men and women who allowed their hunger and self-appetite to consume them and the tragic consequences that followed such as Solomon, Amnon, Tamar, Adonijah, Gehazi, Joab and Lot’s wife to name a few. A sincere and passionate longing for God was absent as an overwhelming desire to indulge the flesh in the pleasures of this life caused God to fade from their hearts. We too must learn this lesson if we are ever to be true guardians of our heart: an uncontrolled appetite spells disaster for our spiritual health. These unrestrained hungers turn us into a glutton and we no longer submit ourselves to God or resist the Evil One. “Glutton” is not the name God wants for His beloved children. One word in Scripture that describes this horrible condition of the heart is “belly.” The “belly” in Scripture is the inner core and center of our appetites. It is a descriptive term of self-entitlement and self-indulgence where our sole desire in life is to satisfy our fleshly appetites. Our heart has become all stomach as we have a voracious hunger to feed our desires and cravings. The belly is a symbol of the curse pronounced on the Devil in Genesis 3 where we eat the dust of the earth for our satisfaction. The appetite for the earthly has replaced the appetite for the heavenly. The curse on creation caused by the sin of Adam and Eve has as its enduring mark the exaltation of the belly as the central focus of life. The belly cries out, “It is all about me! My life is mine! I am my own god! I will follow and serve me above all else! I will not deny my body and my soul anything that it craves! I am hungry and I must be fed now with whatever my heart desires! I do not need God! I only need me!” The battle between the belly, which is at the heart of our sin nature, and the Spirit and words of God, is a central theme throughout all of Scripture. In the book of Leviticus, which in the Hebrew literally means “And He called,” God is emphasizing in our spiritual walk, we cannot eat and digest things whose source is the belly. The belly is an abomination to God, and if we are to ever fulfill His calling on our lives, we must not let our belly be our god. To be holy is to be whole and to perform the function that God has designed for our lives. We belong to God and we cannot love and serve Him if our belly rules our life and is the source of the thoughts, emotions and feelings in our hearts. The Greek word for “serve” means a slave who is totally surrendered and devoted to his master. The slave’s every thought, breath and effort was consumed in the will of his master. The Greek word emphasizes the slave’s close, binding ties with his master as belonging to him, and obligated to do his will, living in a permanent relationship of servitude to him. The slave is completely controlled by his master, and the master’s commands were to be obeyed at all costs. In the Hebrew culture, a slave was one who willingly commits himself to serve a master he loves and respects. We must examine our hearts and ask ourselves this critical question: “Are we a slave to the Lord Jesus Christ or our own hungry belly?” Does Jesus Christ or our belly control every motive and effort that comes forth from our heart? Do we desire to do the will of our Lord Jesus or are we consumed with the will of our own appetites and indulgences? Who controls our actions and whom do we obey and serve? Jesus Christ or our belly? We cannot serve both. We must not allow the belly thorn to enslave us and consume us. For far too long Christians have been enslaved to their own bellies and have turned to serve their self-appetites rather than the Lord Jesus Christ. Pastors and leaders in the church have set the worse examples as so many have been reckless slaves to their belly and have brought great hurt and damage to the Body of Christ. The Bible does not sugar coat the seriousness of this state of the heart for if we are slaves to our belly we become enemies of the cross of Christ. If we are truly to be the disciples of Christ, we must affirm that we have no allegiance, loyalty and commitment to our belly, but we take up our cross daily and only follow Him with passionate devotion. Idolatry has run rampant in Christianity because we have allowed our belly to be our god, and we have served our belly more than our Almighty God. The thorn of pleasures and sensual gratification has taken over the rulership of our heart, as we set our thought-life on the things of this earth ignoring the heavenly realities of His Word. The Word of God is clear that if our belly is our god and the focal point of our devotion that the end of such foolish action is destruction. “Destruction” in the Greek means an utter and hopeless loss of all that gives worth to existence. It refers to the total ruin of your purpose for existence where one becomes spiritually bankrupt and useless to God. It is to waste away one’s life and perish without ever fulfilling the magnificent calling God has placed on our lives. When the god of our existence is our belly we will bring our heart to utter ruin as we fall woefully short of the glory of God being manifested in our lives. We wander off the path God has beautifully designed for our Christian life and become a spiritual vagabond that wastes our lives on the pursuit of instant gratification. Our love for God turns ice cold, and our hearts harden to the voice and touch of God in our lives. The belly drives one to worship the sensations of the flesh and causes our old sin nature to thrive. The belly-god suffocates and chokes every remnant of the true God and His Word from our heart. The belly-god is the great destroyer of our calling in the Body of Christ and our purpose for God in our generation. All of us in our Christian lives will come face to face with the belly-god quite frequently and each time we must render it dead and nailed to the cross. We must cultivate the fruit of the spirit of self-control and allow the Spirit of God to be the controlling factor over our appetites, desires and emotions. If we do not exercise this supernatural self-control birthed out of the Spirit of God, then our heart becomes like an ancient city whose walls are broken down where the enemy has free access. Out of our belly should flow rivers of living water that will quench every appetite. Only God can satisfy our thirst. Only God can satisfy our hunger. Only God can satisfy our appetite. God promises in Psalm 36:8 that we shall be abundantly satisfied with the fatness of God’s house and He shall make us drink from the river of His pleasures. We will never thirst again when we drink of His living water and the river of His pleasures. Why do we thirst after worldly pleasures when God is crying out to our heart to thirst after His pleasures? What pleasures do you think are better: the world’s or God’s? The pleasures of God are so magnificent, breathtaking, splendid and wonderful that words fail to describe them. The pleasures of God do not fade, run dry or come to an end. The pleasures of God are forever. Nothing in this world compares to the pleasures of God. Henry Scougal in The Life Of God in the Soul of Man says: “The soul of man … hath in it a raging and inextinguishable thirst … Never does a soul know what solid joy and substantial pleasure is till, once being weary of itself, it renounces all property and gives itself up to the Author of its being.” This raging thirst is never quenched until we find Him, the only satisfier of the heart, and experience His love, grace, mercy and peace. No temporal pleasure of this earth can ever satisfy our heart or give life meaning. How the heart yearns to know and experience the pleasures of God. We must seek His presence and path of life for therein is joy so full that it overflows. His eternal pleasures will forever delight the soul. The greatest pleasure in the entire universe is to know and enjoy God in all His greatness, goodness and majesty. Oh God awaken our hearts to the joy of knowing you! Our hearts were made to know, love and delight in Him. This is why we exist, not to get wrapped up in the pleasures of this age, but to enjoy our God and the infinite pleasures of our relationship with Him. Seeing and savoring our awesome God changes our appetites, desires and actions profoundly. To fix the gaze of our heart on our glorious God and His pleasures is the great key of transformation and the vital key to resist the belly god with its selfish appetite. The most ravishing pleasures and substantial delights of the heart are only found when we lose ourselves in God and His heart becomes our heart, His desire our desire and His pleasure our pleasure. Are you willing to become consumed to the core of your being with desire for God? Are you willing to let Him strip you of all confidence in the flesh until you get to the point of total dependence upon Him? Are you willing-in brokenness and humility-to stand out from the crowd that is apparently satisfied with leftover bread? Are you willing to be emptied and emptied again so that God can fully fill you? The choice is entirely yours. How far are you willing to go? Never let this fifth thorn of the pleasures of this age suffocate and choke our desire for God and His matchless Word. Let our hearts always be consumed with God and filled with all His fullness as we turn from the fleeting pleasures of this age. One final truth that will thrill our souls is that this same Greek word for “thorns” in the Parable of the Sower and the Seed is used another time in the gospels that has an enormous impact on our study. As Jesus was led into the judgment hall called the Praetorium, a cohort of four to six hundred soldiers cruelly mocked, beat and tortured our Lord. They wove together a crown of thorns and thrust it unto his head causing excruciating pain and profuse bleeding as it pierced his head and scalp. As Jesus went forth to Calvary to be crucified, he was wearing this crown of thorns and as he was hanging on the cross he was bearing the regal crown of thorns for you and me. Jesus Christ bore the crushing weight of every one of these five thorns at Calvary so they would never have to plague the heart of men and women again. He took the full blow of these thorns that have grown out of the curse of our sin nature and conquered them. He obliterated the power and strength of these five thorns with his death and resurrection so they never exercise dominion in the heart again. In Jesus Christ and his finished work on the cross, the authority and reign of the thorns of the heart were destroyed forever. Never again do they need to raise their foul head in our hearts for we have the ultimate victory over every thorn that has ever grown and flourished in the soils of our hearts. Henry Scougal, The Life Of God in the Soul of Man (Eastford: Martino Fine Books, 2010), 26. Michael L. Brown, Whatever Happened to the Power of God? It’s Time to Rock the Boat (Shippensburg: Destiny Image Publishers 1991), 31. This entry was posted in Bible Teachings, Inspirational Messages and tagged appetite, belly god, Christ, crown of throns, curse, devil, disappointment, disciples, flesh, fruit of the spirit, God, heart, hedonism, hunger, idolatry, inner cravings, Jeshurun, Jesus, life, Lord, misery, parable of the sower, passions, pleasures, prodigal, self-control, self-entitlement, self-indulgence, soul, spiritual walk, thirst, thorns, world. Bookmark the permalink.